If you are looking for a Mexican Sworn Translator, you have found the right website. To get a quote for our official translation services, please send your scanned or photographed documents to ostria.traducciones@gmail.com. Lourdes Susana Cuevas Ostria is a Sworn Translator authorized by the Superior Court of Justice of Mexico City (Tribunal Superior de Justicia de la Ciudad de México). Certified translations issued by Mexican Sworn Translators are official valid translations, accepted by Mexican government agencies and their foreign counterparts. In general, if you need that a document that is not originally written in Spanish be accepted by a Mexican authority, you will have to obtain a translation that is certified by a Mexican Sworn Translator. Also if you want that a translation into the English language of your Spanish-written documents be accepted by United States, United Kingdom, Australia, and Canada government agencies, or by the authorities of any other English speaking countries, you will also need a certified translation. 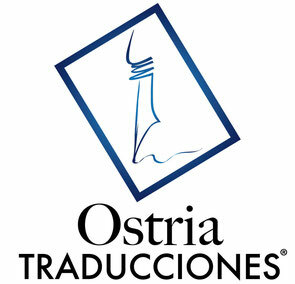 In order to get a quote for our certified translation services, send your scanned documents to ostria.traducciones@gmail.com. Please make sure that they are legible. Birth certificates, marriage certificates, divorce certificates, death certificates, divorce decrees, academic degree diplomas and transcripts, professional licenses, passports, official ID cards, police checks, letters of no criminal record, certificates of no marriage record, apostilles, recommendation letters, immunization cards, bank statements, bank letters, payroll payments, special credit reports, invoices, income receipts, proofs of domicile, any type of agreements or contracts, letters of intent, memorandums of understanding, public deeds, public instruments, letters rogatory, articles of incorporation, bylaws, material safety data sheets, among others.